Renew your upgrades and support plan for another year. Who is this renewal for? This renewal page is for arpReach users whose upgrades and support plan has expired. By renewing for another year, you have continued access to the latest software releases and support is available whenever you need it via the help desk. The basic renewal plan covers three domain licenses. 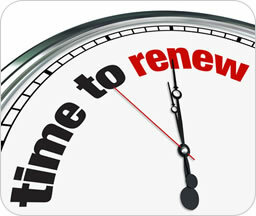 Important Note: The Renew Now facility will add 12 months access to your current expiry date. While we update our systems, the team are manually processing all renewals. Please allow extra time (72 hrs max) for us confirm your payment and contact you to arrange any additional payment required in line with the renewal costs below. The maintenance fees help us to improve arpReach giving you even more power and functionality. 12 months from the date of your original order and at your discretion, you can buy another 12 months access to updates and support. If you don’t want updates after the initial year, there are absolutely no ongoing fees. You can continue using the last version you are eligible to use that is installed and activated. The 12 month time frame is merely for new updates and has no relevance to rights of use (as long as the EULA is not violated).